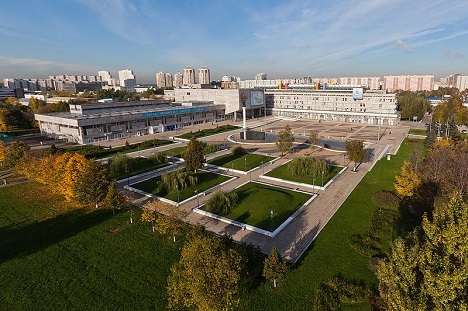 Students from the SCMS group of educational institutions can attain a Bachelor of Technology degree from the People’s Friendship University of Russia, Moscow. Kochi-based SCMS Group of Educational Institutions and the People’s Friendship University of Russia, Moscow (RUDN) signed a memorandum of understanding this month for academic collaboration in many programmes, The New Indian Express reported on its website. The MoU will initially help students studying in the SCMS School of Engineering and Technology, who after graduation can study for a year at the RUDN and get a Bachelor of Technology degree that is recognised in both countries. Nikolay Kislyy, Dean of the RUDN told the paper that the Russian Government welcomes technically-qualified professionals from India. RUDN and SCMS are exploring the possibility designing the syllabus of an integrated programme and course of study to suit the requirements of the Russian industries once this agreement becomes operational, Kislyy told the paper. The language of instruction for the programme will be English but students would be encouraged to learn Russian to be able to tap into the Russian job market. The two sides are also exploring the possibility of exchange programmes. The RUDN was founded in 1960 by a special resolution of the USSR government and named as Patrice Lumumba (a Congolese independence leader) University of Peoples’ Friendship symbolizing the struggle of colonized people all over the world for freedom and independence. Over 80,000 foreign students from 170 countries have studied and graduated from the university. More than 1200 Indian students have studied in the PFU. About 80 percent of them obtained a degree in the medical faculty, while 12 percent majored in engineering and the rest in different faculties like public relations, MBA, hotel management and Russian language teaching. Around 50 students from India are believed to be enrolled for various courses at the university at the moment.